Don't go through the stress of waiting in long queues for taxis and plan your arrival ahead! Book a shuttle service from the airport to your hotel in Madrid city. 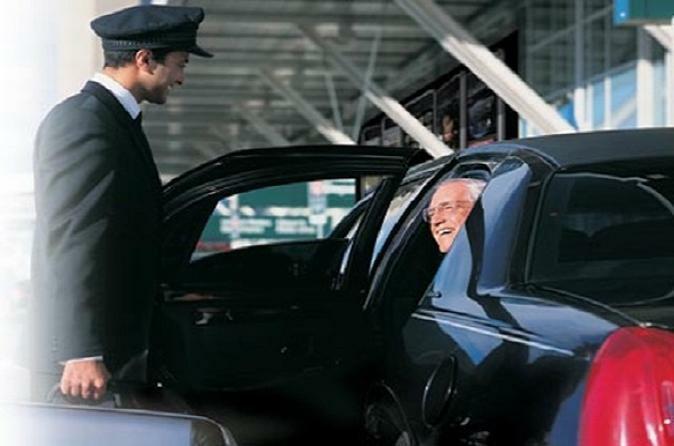 The driver will be waiting for you at the arrivals gate to take you safely to your hotel. Enjoy a shuttle service from airport Adolfo Suarez - Barajas to your hotel in Madrid. The driver will be waiting for you at the arrivals gate, and can help you with your luggage. We only offer this services in the centre area. The driver wait 90 minutes from landing. Enjoy your travel from first minute with our shuttle services in a new car. The services is offered 24 hours. The airport is located 30 minutes from the center. Our services is perfect for small groups and people who don´t like waste time in public transport after a long flight.